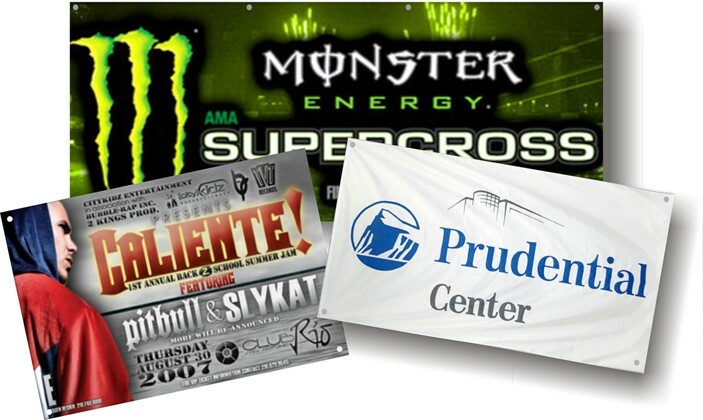 Create a great outdoor promotional presence with a custom high resolution full color printed outdoor banner. The banner is made from durable textile material to withstand the harshest conditions. The banner can also be used indoors for large or small promotional displays. The banner can easily be folded up to be transported to any venue. For set up, the banner includes metal reinforced tie holes around the edges of the banner for strings to tie the banner up through the loop holes. Our banners are priced per square foot, please add the number of square feet you want to your cart (Min. 6 sq.ft.). Please call or contact us for special orders or more assistance.